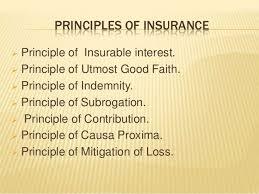 Insurance and its basic principles. Human life is exposed to many risks, which may result in heavy financial losses. Insurance is one of the devices by which risks may be reduced or eliminated in exchange for premium. In words of Chief Justice Tindal, “Insurance is a contract in which a sum of money is paid by the assured in consideration of the insurer's incurring the risk of paying larger sum upon a given contingency”. In its legal aspects it is a contact whereby one person agrees to indemnify another against a loss which may happen or to pay a sum of money to him on the occurring of a particular event. All contracts of insurance (except marine insurance) may be verbal or in writing, but practically contracts of assurance are included in a document. Nature of contract is a fundamental principle of insurance contract. An insurance contract comes into existence when one party makes an offer or proposal of a contract and the other party accepts the proposal.A contract should be simple to be a valid contract. The person entering into a contract should enter with his free consent. 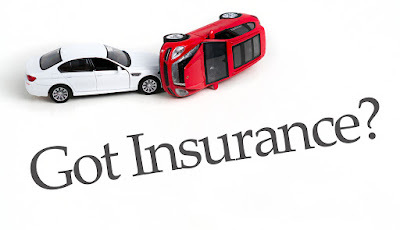 Under this principle of insurance, the insured must have interest in the subject matter of the insurance. Absence of insurance makes the contract null and void. If there is no insurable interest, an insurance company will not issue a policy.An insurable interest must exist at the time of the purchase of the insurance. For example, a creditor has an insurable interest in the life of a debtor, A person is considered to have an unlimited interest in the life of their spouse etc. Indemnity means security or compensation against loss or damage. The principle of indemnity is such principle of insurance stating that an insured may not be compensated by the insurance company in an amount exceeding the insured’s economic loss.In type of insurance the insured would be compensation with the amount equivalent to the actual loss and not the amount exceeding the loss.This is a regulatory principal. This principle is observed more strictly in property insurance than in life insurance.The purpose of this principle is to set back the insured to the same financial position that existed before the loss or damage occurred. The principle of abrogation enables the insured to claim the amount from the third party responsible for the loss. It allows the insurer to pursue legal methods to recover the amount of loss, For example, if you get injured in a road accident, due to reckless driving of a third party, the insurance company will compensate your loss and will also sue the third party to recover the money paid as claim. Double insurance denotes insurance of same subject matter with two different companies or with the same company under two different policies. Insurance is possible in case of indemnity contract like fire, marine and property insurance.Double insurance policy is adopted where the financial position of the insurer is doubtful. The insured cannot recover more than the actual loss and cannot claim the whole amount from both the insurers.